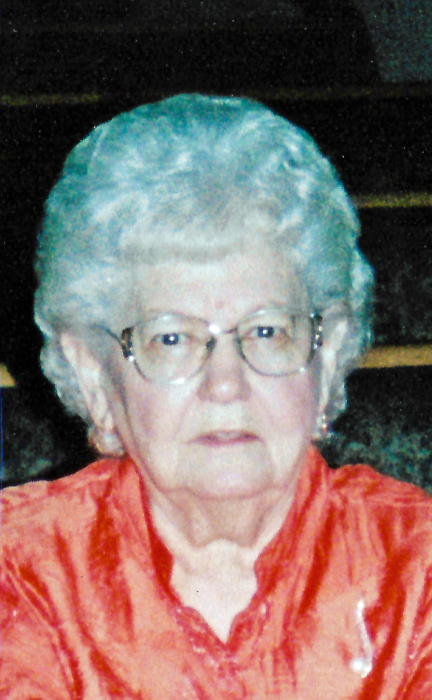 Florence Owens Bennett, 93, of Nason, Illinois passed away at 3:10 P.M. November 17, 2018 surrounded by family at her residence. She was born March 18, 1925 in Marion, Illinois to parents, the late Dalton Owens and Alta (Gower) Owens. She married David Tracy Bennett on October 31, 1943 in Jackson, Missouri. They were blessed with many years of marriage until he preceded her in death. Florence is survived by her daughter, Lona Barton and husband, David of Nason, Illinois; son, John Bennett of Nason, Illinois; daughter-in-law, Linda Bennett; special daughter, Terri Nicholson of Nason, Illinois; five grandchildren, Nicolle Barton and fiancé, Andre Taylor of Saint Louis, Missouri, Maggie Gajewski and husband, Kevin of Nashville, Illinois, Grant Barton and wife, Amy of Coulterville, Illinois; Anthony Bennett and wife, Taylor of Pinckneyville, Illinois, and Andrew Bennett of DuQuoin, Illinois; step grandson, Josh Sterns and wife Brooke of Belleville, Illinois; twelve great grandchildren; and several nieces and nephews also survive. Florence is preceded in death by her parents, Dalton Owens and Alta (Gower) Owens; husband, David Tracy Bennett; son, David Bennett; three brothers; and one sister. Florence owned and operated the Rend Lake Grocery’s for ten years. She was an avid reader. Florence will be missed dearly by all know knew her. “If I go and prepare a place for you, I will come again, and I will come again, and receive you unto myself, that where I am, there you may be also.” –John 14:3. Memorials may be made to SSM Health at Home Hospice. For those who wish, memorials may be given to and will be accepted at the funeral home or mailed to Newell Funeral Home, 601 South 42nd Street, Mount Vernon, Illinois 62864. Arrangements have been entrusted to the care of Newell Funeral Home. Please call 618-242-3348 for further information.